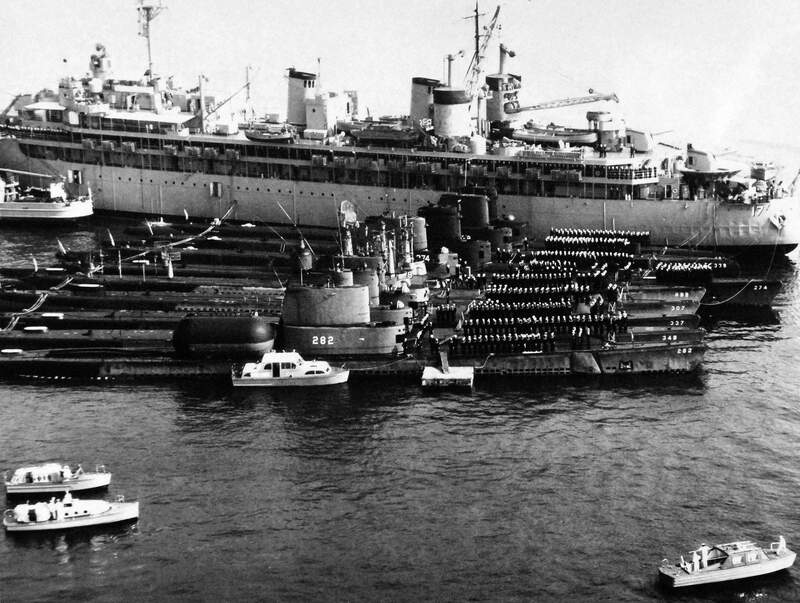 Balao Class Submarine: Laid down, 16 December 1943, at the Electric Boat Co., Groton, CT.; Launched, 15 October 1944; Commissioned, USS Carbonero (SS 337), 7 February 1945; Assigned to the Guided Missile Program, April 1947, and as a Loon Launcher May 1949; Fleet snorkel conversion late 1951; Regulus guidance equipped submarine 1953; equipment removed early 1962; and re-designated Auxiliary Submarine (AGSS-337) on 30 June 1969; Attack Submarine (SS-337) on 1 October 1969; Decommissioned, and struck from the Naval Register, 1 December 1970; Final Disposition, sunk as a target by Pogy (SSN-647) off Pearl Harbor, HI, 27 April 1975. Carbonero earned one battle star for her World War II service. Specifications: Displacement, Surfaced: 1,526 t., Submerged: 2,424 t.; Length 311' 9"; Beam 27' 3"; Draft 15' 3"; Speed, Surfaced 20.25 kts, Submerged 8.75 kts; Cruising Range, 11,000 miles surfaced at 10kts; Submerged Endurance, 48 hours at 2kts; Operating Depth, 400 ft; Complement 66; Armament: Loon launch ramp; ten 21" torpedo tubes, six forward, four aft, one 4"/50 or 5"/25 deck gun, one 40mm gun; Patrol Endurance 75 days; Propulsion, diesel-electric reduction gear with four main generator engines., GM diesel, HP 5400, fuel capacity, 118,000 gal., four main GE motors with 2,740 shp, two 126-cell main storage batteries, two propellers. 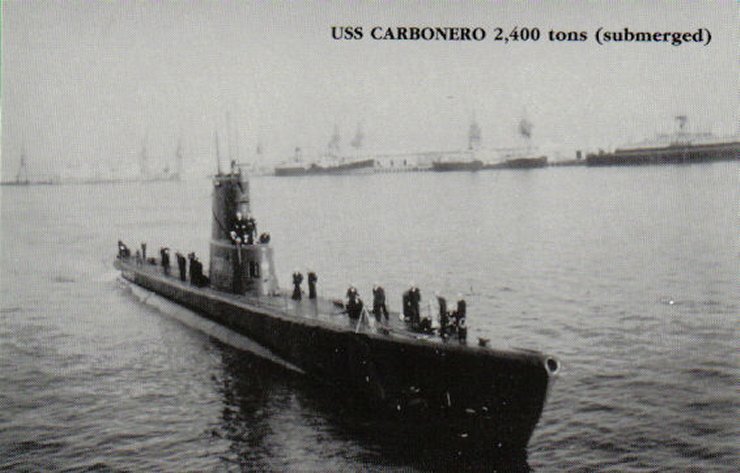 Carbonero (SS-337). NARA FILE #: 80-G-468488, photographed by Lt. Comdr. Charles Fenno Jacobs, USNR. Photo # HD-SN-99-02475, from the Department of Defense Still Media Collection, courtesy of dodmedia.osd.mil. 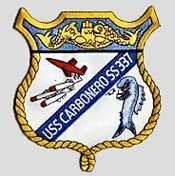 Carbonero (SS-337). NARA FILE #: 80-G-468489, photographed by Lt. Comdr. Charles Fenno Jacobs, USNR. Photo # HD-SN-99-02474, from the Department of Defense Still Media Collection, courtesy of dodmedia.osd.mil. 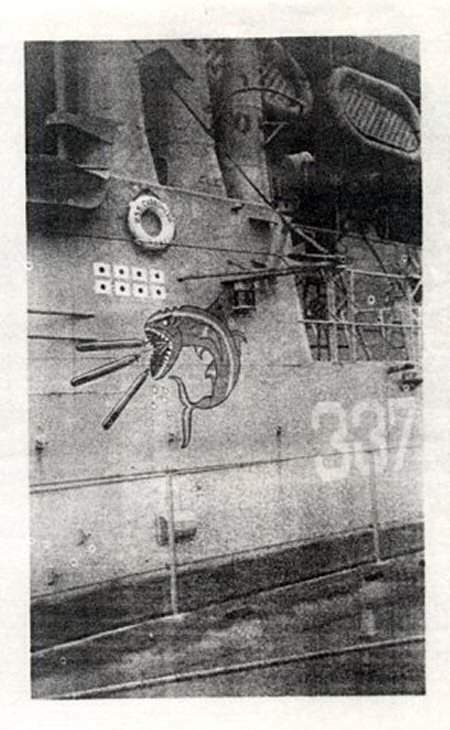 47k Carbonero's (SS-337) emblem screaming from the conning tower, circa 1945. Photo courtesy of H. F. Carlson, submitted by Gary Carlson. 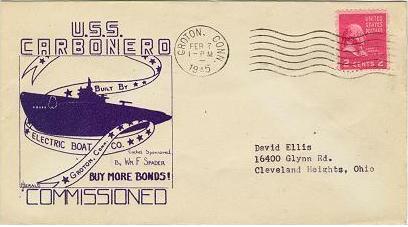 19k Commemorative postal cover on the occasion of the Carbonero's (SS-337) commissioning, 7 February 1945. Courtesy of Jack Treutle (of blessed memory). 1.86k Carbonero (SS-337) circa 1949 with what appears to be the Loon launch ramp on her deck. Photo # USN 1042975 scanned by Ryan Crierie, via flickr, courtesy of Stephen Gower. 827k Carbonero (AGSS-337), with Loon 821, 26 August 1949. Photo # USN 48056 scanned by Ryan Crierie, via flickr, courtesy of Stephen Gower. 2.48k SubRonFive picture 30 December 1949 featuring from upper left corner to right: Florikan (ASR-9), Pomodon (SS-486), Volador (SS-490), Catfish (SS-339), Cusk (SS-348), Diodon (SS-349), Carbonero (SS-337), Carp (SS-338) & Nereus (AS-17). USN photo courtesy of usscusk.com. 158k Carbonero (SS-337) firing a Loon missile, 1951. 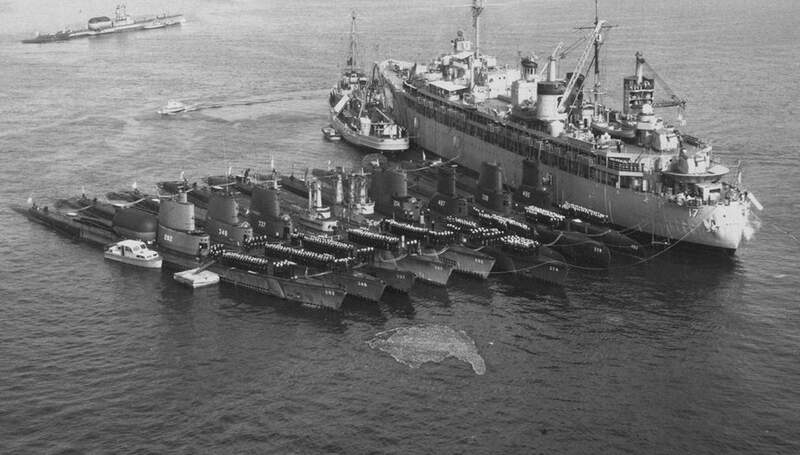 USN photo courtesy of ussubvetsofwwii.org. NR GUIDED MISSILES can definitely be launched from a submarine deck. 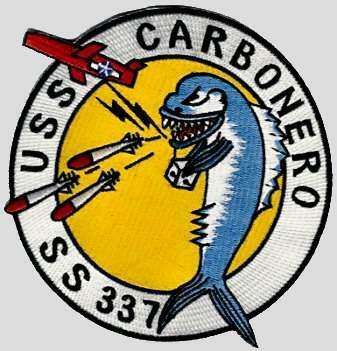 Here's proof: the Carbonero (SS-337) firing a "loon". 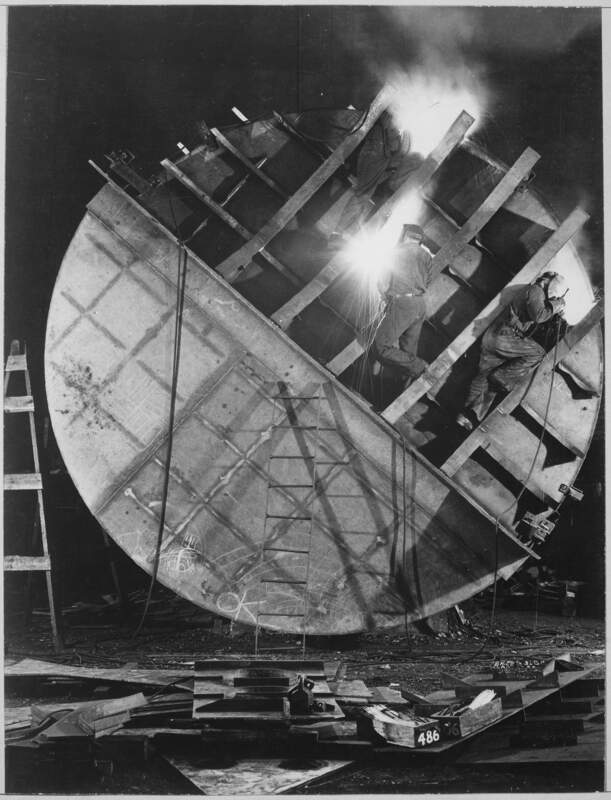 Image and text provided by Library of Congress, Washington, DC. Photo & text by Evening Star. Evening Star. [volume] (Washington, D.C.) 1854-1972, 12 March 1950, Image 101, courtesy of chroniclingamerica.loc.gov. 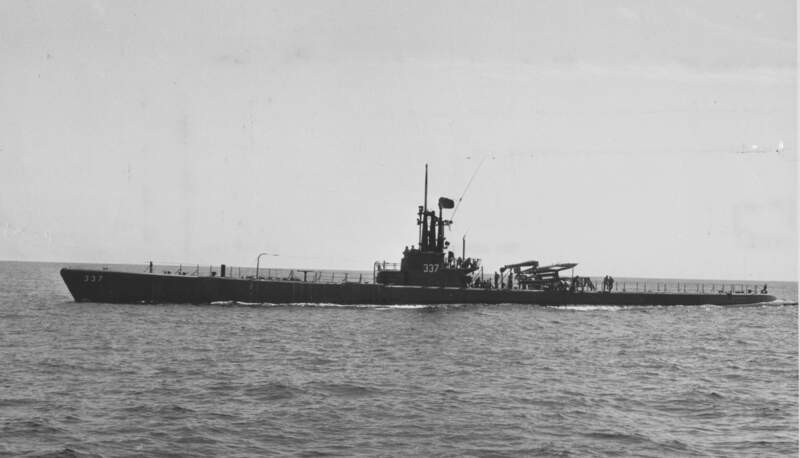 1.80k Carbonero (SS-337) off the south end of Mare Island on trials on 14 February 1952. Note the Regulus missile launcher aft of the sail. USN photo # 11988-2-52, courtesy of Darryl L. Baker. 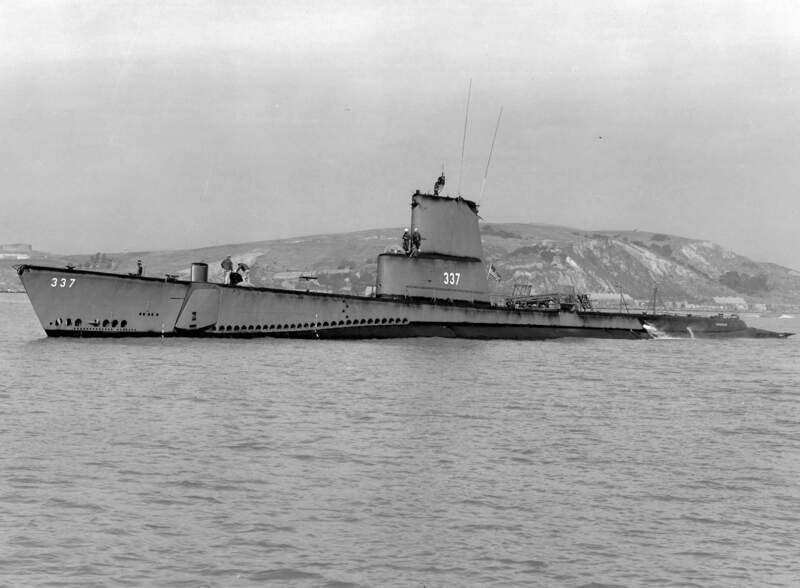 208k Aft plan view looking forward of Carbonero (SS-337) at Mare Island on 18 February 1952. 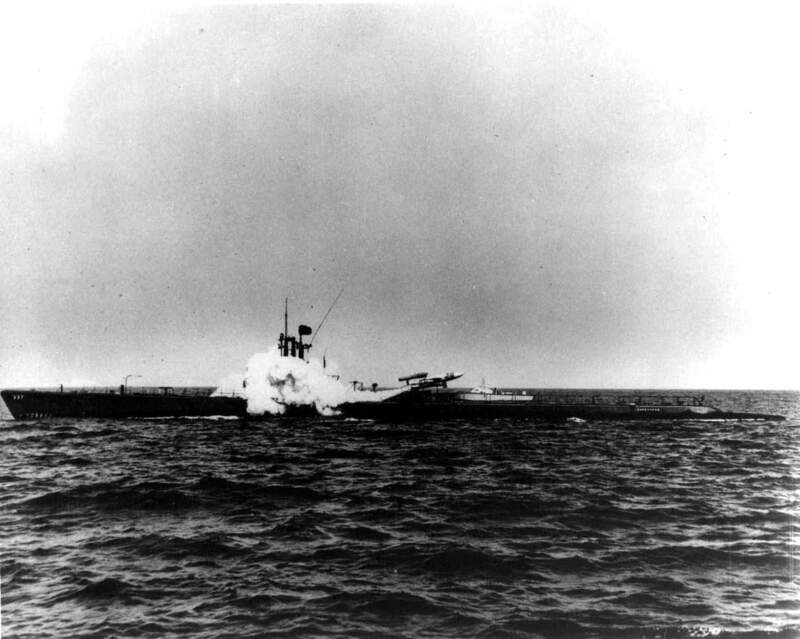 She is outboard of Diodon (SS-349) and Segundo (SS-398) is forward. Note Loon launcher on the after deck. USN photo # 12023-2-52, courtesy of Darryl L. Baker. 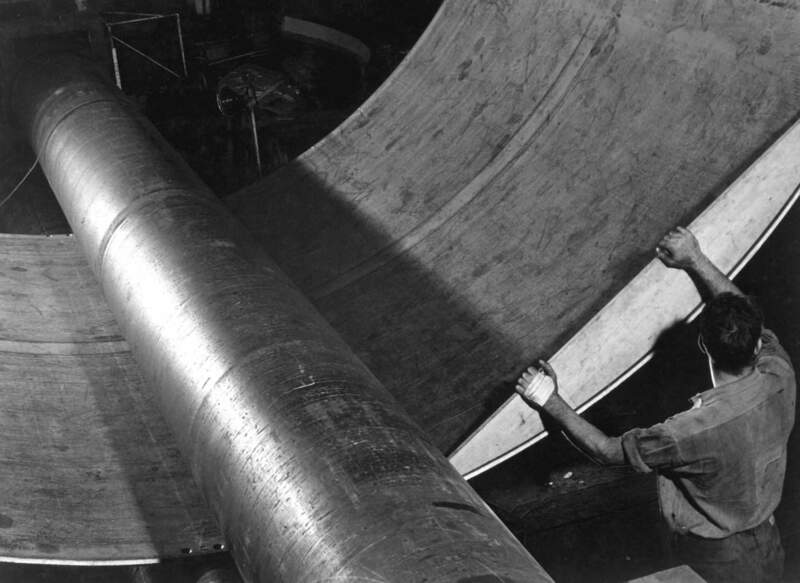 213k Forward plan view looking aft of Carbonero (SS-337) at Mare Island on 18 February 1952. She is outboard of Diodon (SS-349) and Guitarro (SS-363), Hardhead (SS-365) and Juneau (CLAA-119) are aft. Note Loon launcher on the after deck. USN photo # 12024-2-52, courtesy of Darryl L. Baker. 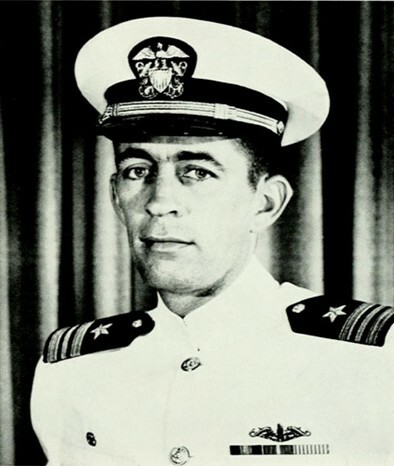 38k LCDR J. O. 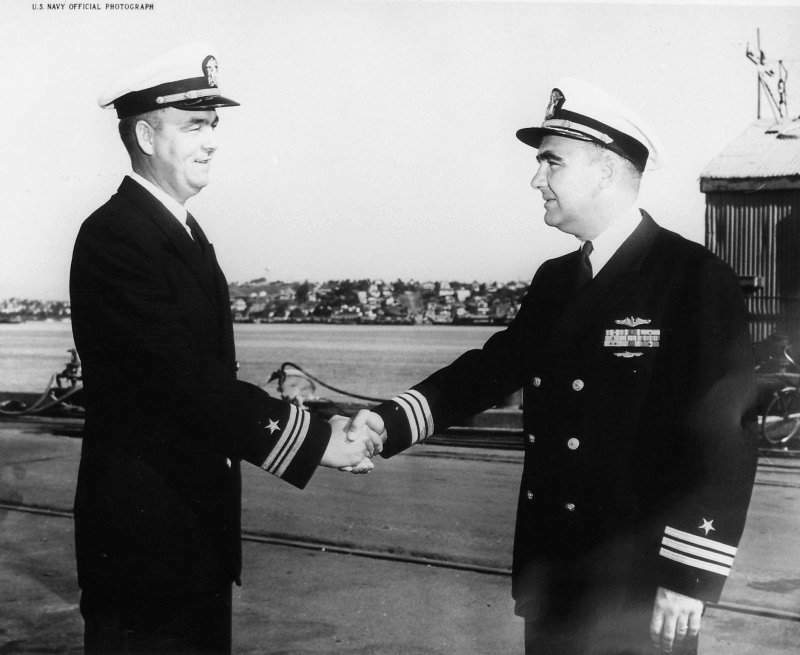 House, Jr. relieves CDR W. P. Murphy of command of Carbonero (SS-337) at Mare Island on 30 September 1953. USN photo # 18794-9-53, courtesy of Darryl L. Baker. 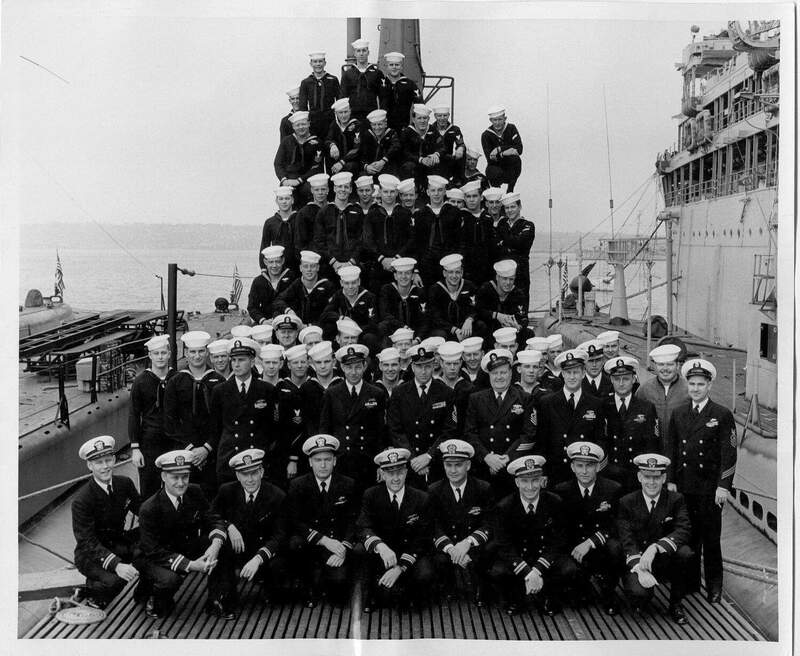 278k Cusk (SS-348) crew photo 1953. The boat on the right of the picture (port side of Cusk) is the Spinax (SSR-489). The boat on the left of the photo (starboard side of Cusk) is harder to identify, but it might be the Carbonero (SS-337). The structure on the after deck looks a lot like a Loon missile launch ramp, and Carbonero was the only other boat equipped to fire this missile. 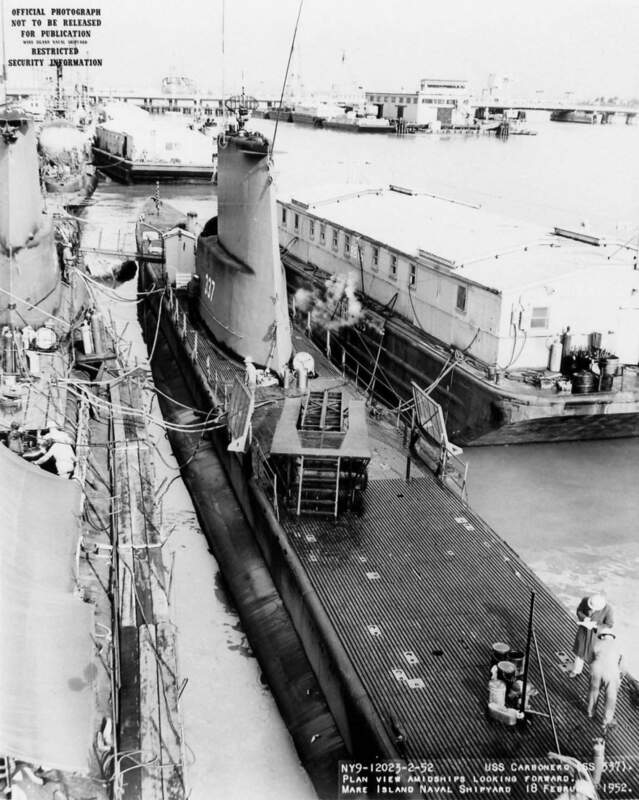 However, other photos of Carbonero show the ramp mounted much closer to the conning tower fairwater; her installation was more temporary in nature than Cusk's and she lacked a water-tight hangar. 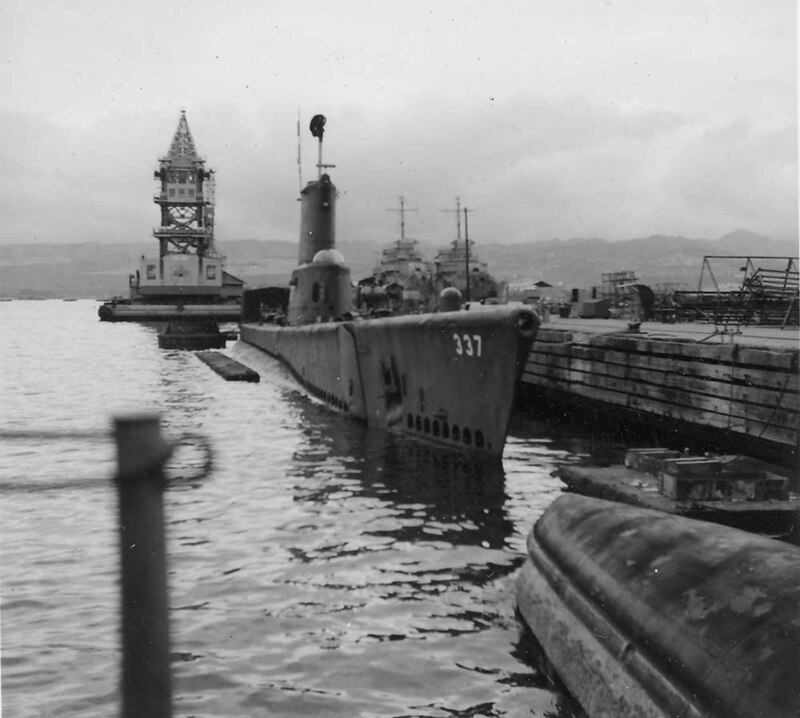 372k Carbonero (SS-337) dockside at Pearl Harbor, HI, 1959. Photo courtesy of Ron Phillipi. 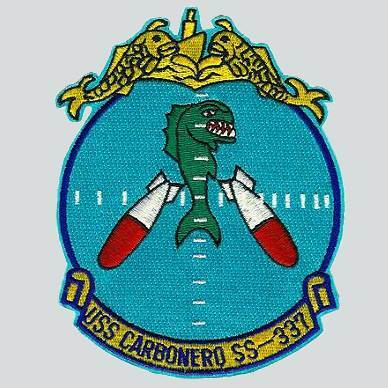 1.37k Fourteen page History & Welcome Aboard the Carbonero (SS-337), circa 1961. Photos courtesy of Scott Koen & ussnewyork.com. 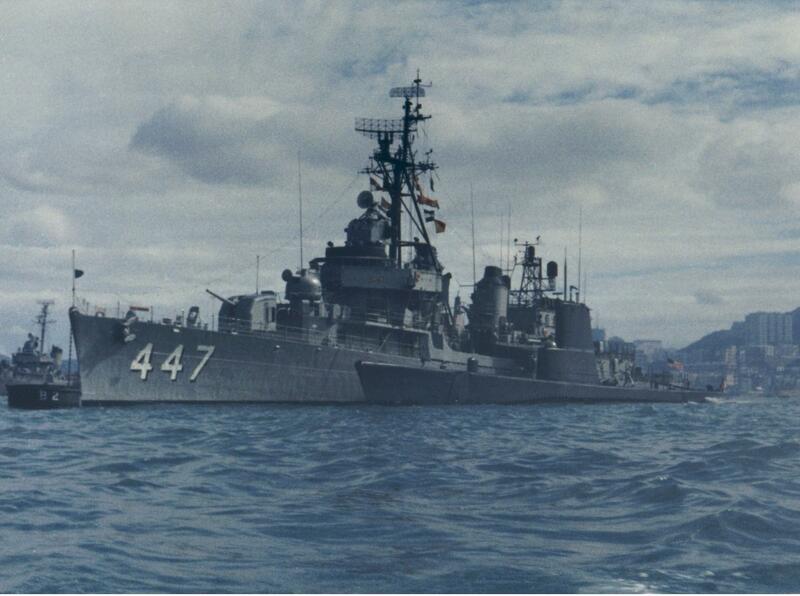 220k The Jenkins (DD-447) in Hong Kong Harbor December 1961 next to Carbonero (SS-337). 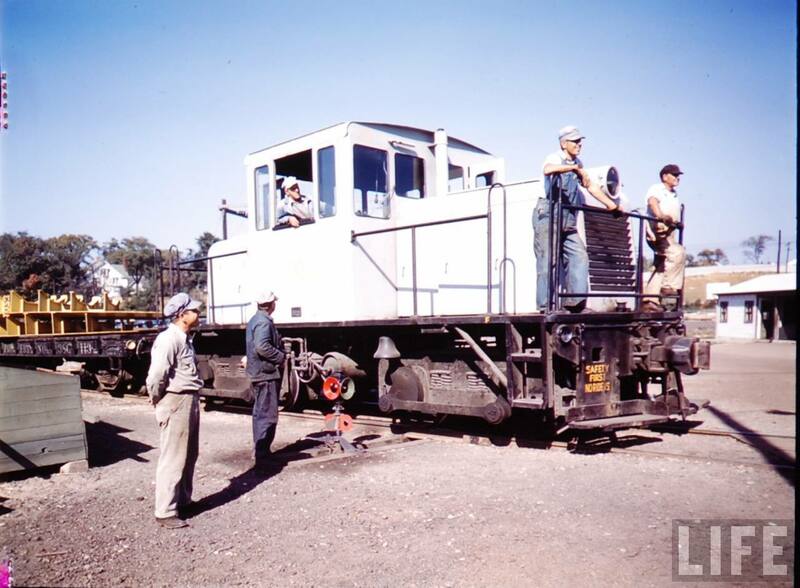 Photo courtesy of photo taken by Jim Stewart via Fred Willshaw. 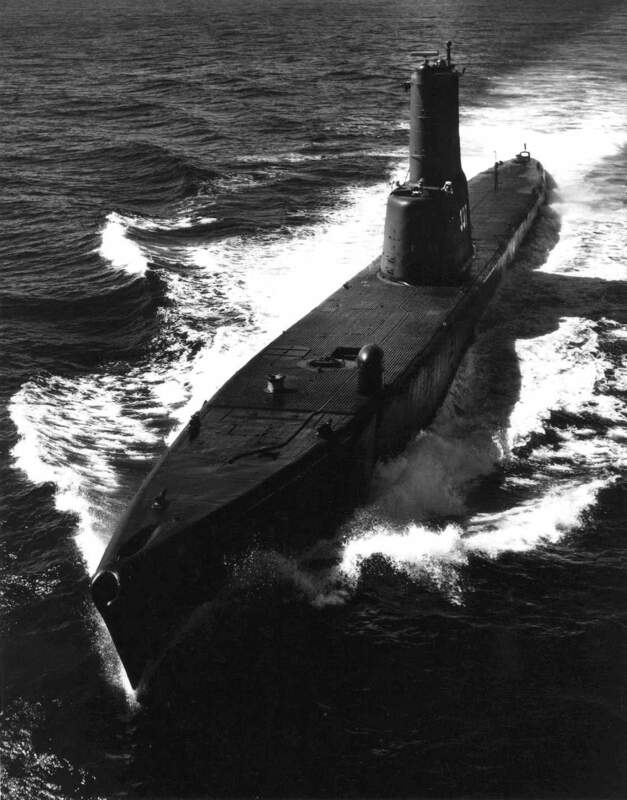 209k Port quarter bow view of the Carbonero (SS-337), underway, 1962. USN photo courtesy of ussubvetsofwwii.org. 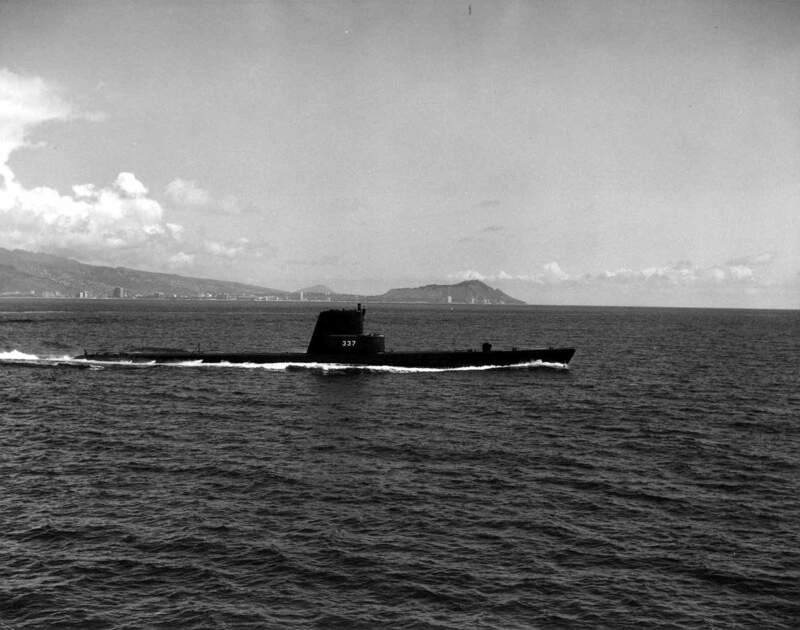 185k Carbonero (SS-337), cruising off the coast of Hawaii, 1963. USN photo courtesy of ussubvetsofwwii.org. 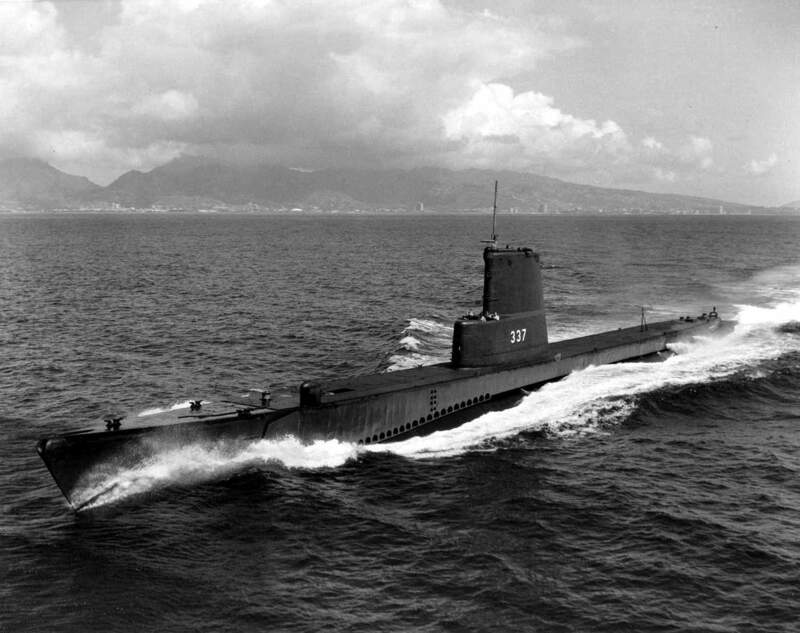 182k Starboard side view of the Carbonero (SS-337), cruising off the coast of Hawaii, 1963. USN photo courtesy of ussubvetsofwwii.org. 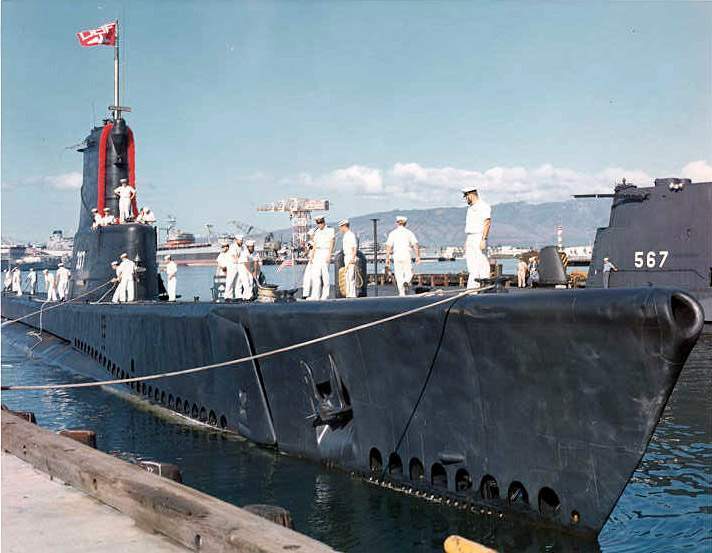 48k Carbonero (SS-337) about to tie up inboard of the Gudgeon (SS-567) at Pearl Harbor, circa 1963. USN photo courtesy of ussubvetsofwwii.org. 220k LCDR. 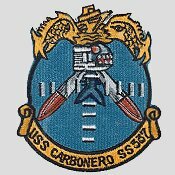 Horace Madison Leavitt, Jr. was the Commanding Officer of the Carbonero (SS-337) from 9 September 1965 to 27 July 1967. Photo courtesy of Bill Gonyo. 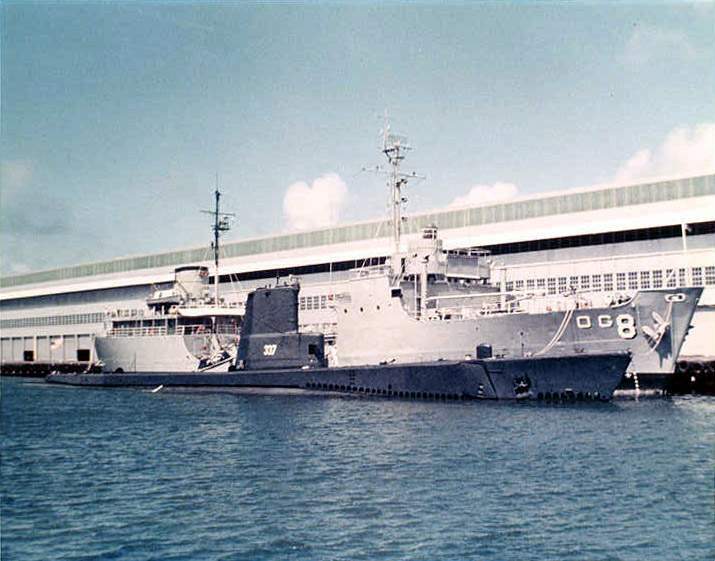 60k Carbonero (SS-337) with the oiler Genesee (AOG-8) berthing at Victoria Quay, Fremantle - Australia in May 1967. Text courtesy of Ric Hedman & Jack Treutle (of blessed memory). 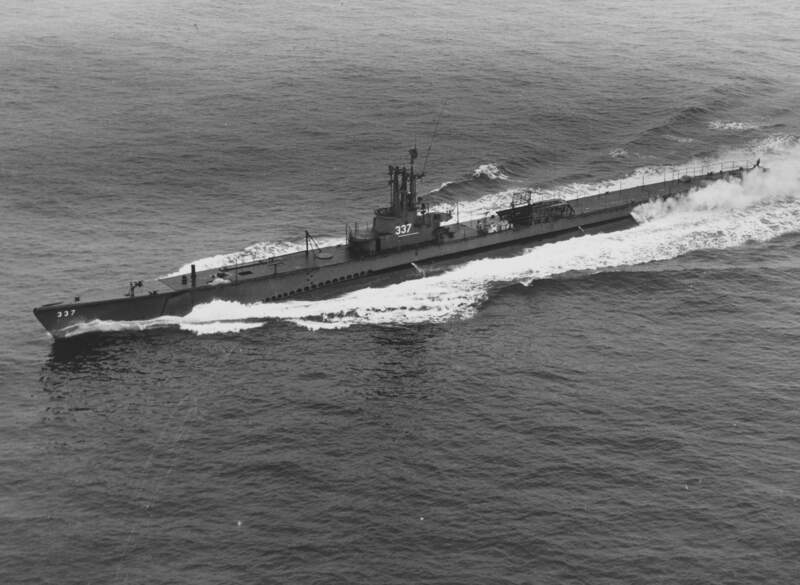 49k Making a wide swarth to starboard, Carbonero (SS-337), cruises off the coast of Hawaii, with Diamond Head in the background. USN photo courtesy of ussubvetsofwwii.org. 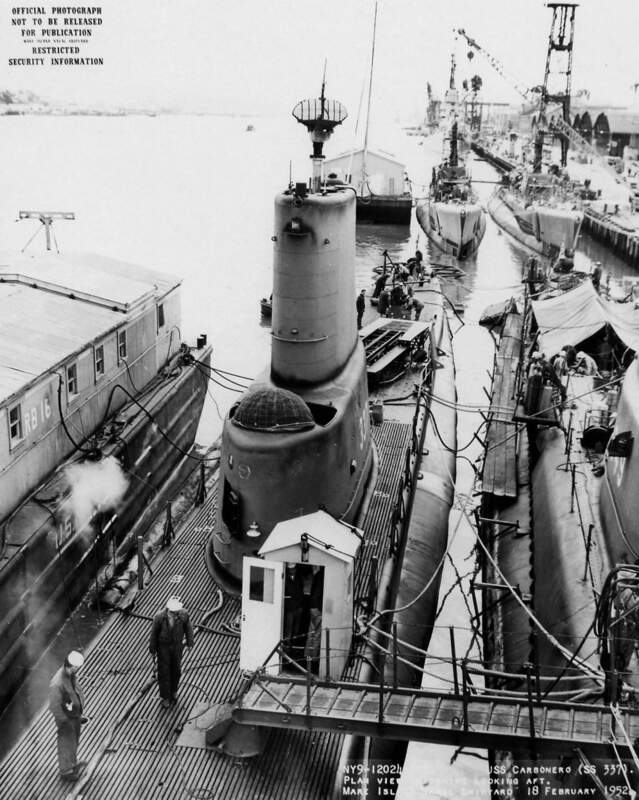 52k Carbonero (SS-337), moored alongside with the oiler Genesee (AOG-8), date and location unknown. USN photo courtesy of ussubvetsofwwii.org. Photo i.d. courtesy of William F. Fessenden. 104k Artist's conception of the Carbonero (AGSS-337) by the renowned graphic illustrator John Barrett with the text written by naval author and historian Robert F. Sumrall. Their company Navy Yard Associates offers prints of most destroyers, destroyer escorts, submarines and aircraft carriers in various configurations during the ship's lifetime. The prints can be customized with ship's patches, your photograph, your bio, etc. If you decide to purchase artwork from them please indicate that you heard about their work from NavSource. Photo courtesy of Navy Yard Associates. 120k The Frigate Bird test of a fully-armed Polaris missile took place in the east-central Pacific on 6 May 1962. 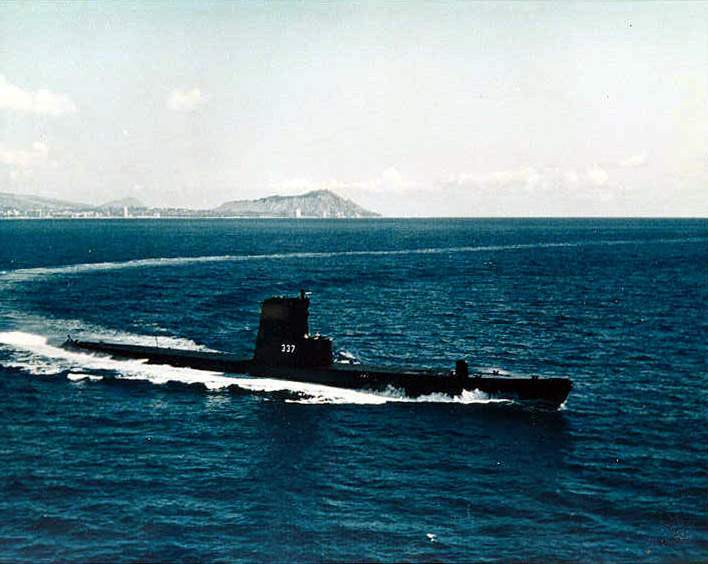 The launching ship, Ethan Allen (SSBN-608) was stationed 1,300 miles southeast of the Hawaiian islands and established an aim point some 1,100 miles away � 525 miles east-northeast of Christmas Island, from which most of the support efforts were staged. 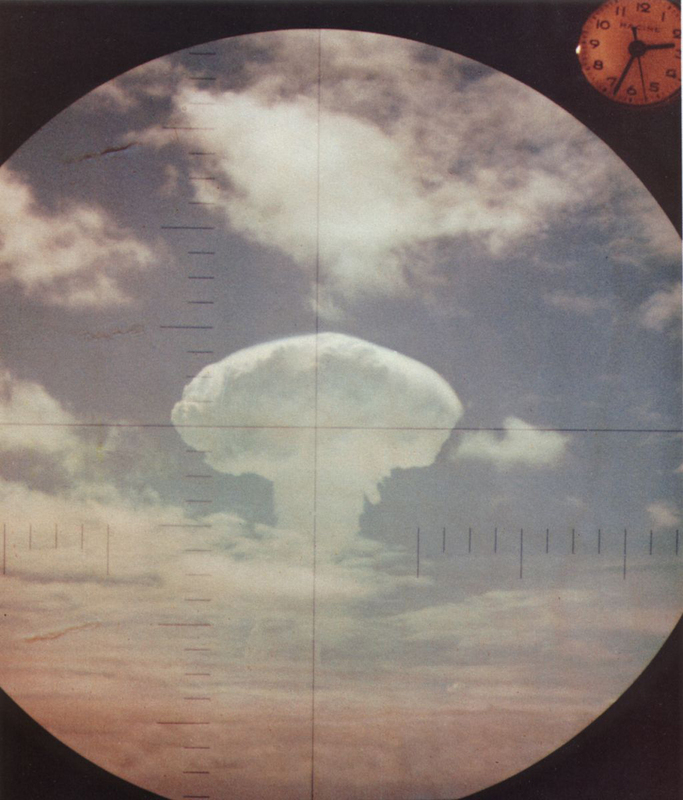 Seen through the periscope of Carbonero (SS-337) submerged 25 miles from the aim point, this graphic illustration shows Frigate Bird's mushroom-shaped cloud boiling skyward from its original burst altitude of 11,000 feet. The range clock at the upper right indicates 1433, which was the local time at the launching point. (Local time at the aim point was one hour earlier.) Text courtesy of navy.mil. 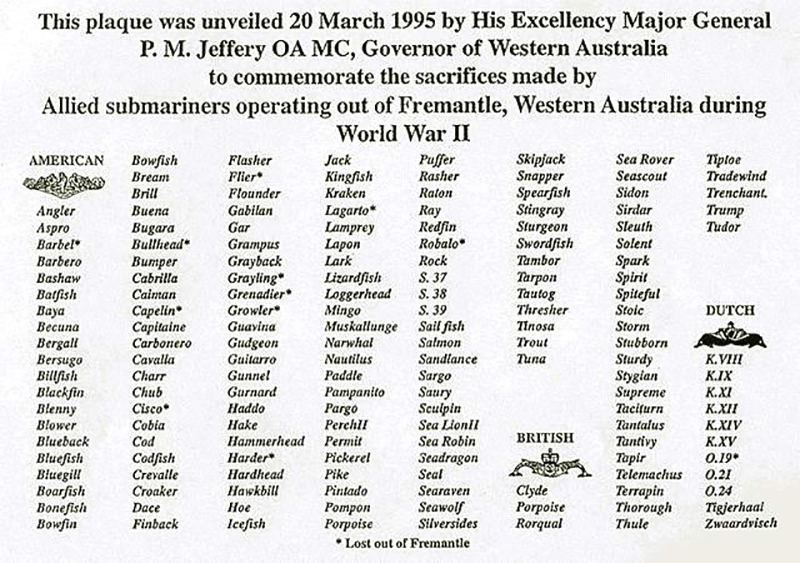 Photo appeared in an article from the Fall 2004 edition of Undersea Warfare. 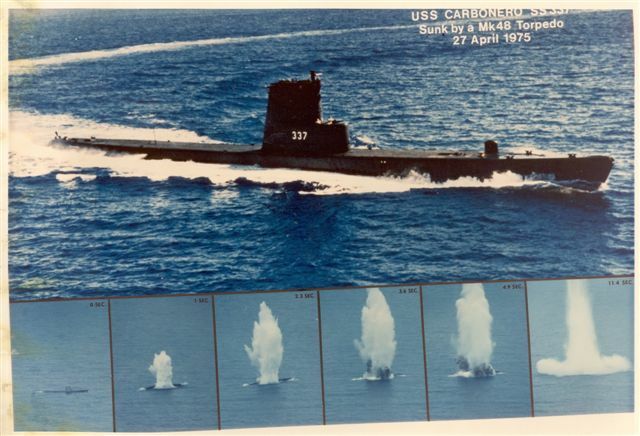 58k Montage of the end of the Carbonero (SS-337); sunk as a target by Pogy (SSN-647) firing a MK48 torpedo off Pearl Harbor, HI., 27 April 1975. USN photo courtesy of Bob Shouse.